Research work on A correlative study of clinical, radiological and MRI findings in non-traumatic avascular necrosis of femoral head. Paper presentation on Ceramic bearing surface at Seoul. 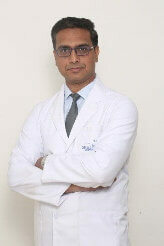 Bombay Arthroplasty course, joint replacement course & workshop organized by Asculap & Dupuy.